Here it is, a brand new year. You’ve rung in 2019, written your list of New Year’s resolutions, and put away your holiday decorations. 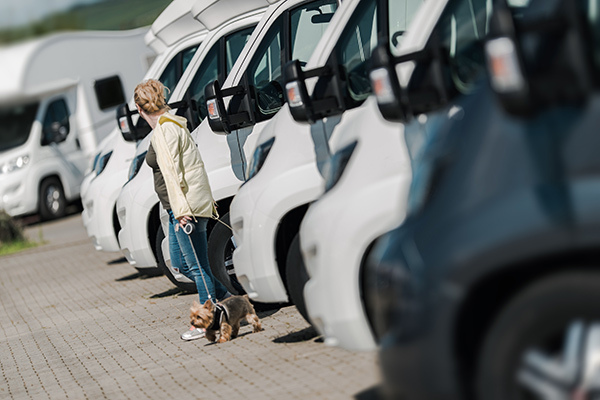 What better way to get that exercise you promised yourself while looking for the recreational vehicle of your dreams than attending some of the best 2019 RV shows in Ohio? It doesn’t get better than this – walking through hundreds of the newest models of RVs. Think of the hiking and biking trails you can discover when you hook up your new RV and set out for a weekend getaway, a week-long boondocking trip, or an extended vacation! Mark your calendars, put on your walking shoes, and head to one of these RV shows! 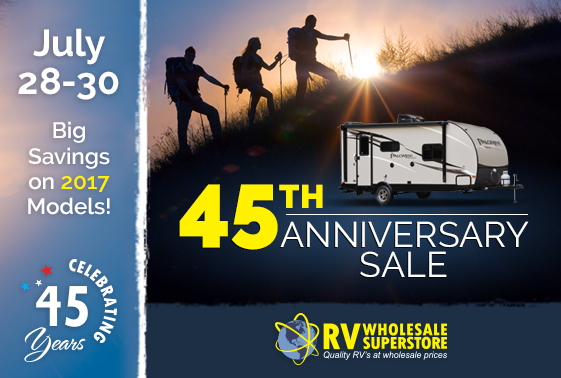 RV Wholesale Superstore is celebrating 45 years of sharing our passion for RVs and adventure – and you’re invited! Join us for our 45th Anniversary Sale at our dealership in Sylvania, Ohio this July 28-30 to shop monumental savings on all of our in-stock 2017 models! We’ll have exclusive offers and free food fresh from the grill to enjoy while you’re here. Our 45th Anniversary Sale is your perfect opportunity to find the latest 2017 models with exceptional discounts – for three days only. Find new RVs of all makes and models: travel trailers, motorhomes, fifth wheels and more! If you’re thinking about your first RV or upgrading your old camper to something more modern, this is the time.